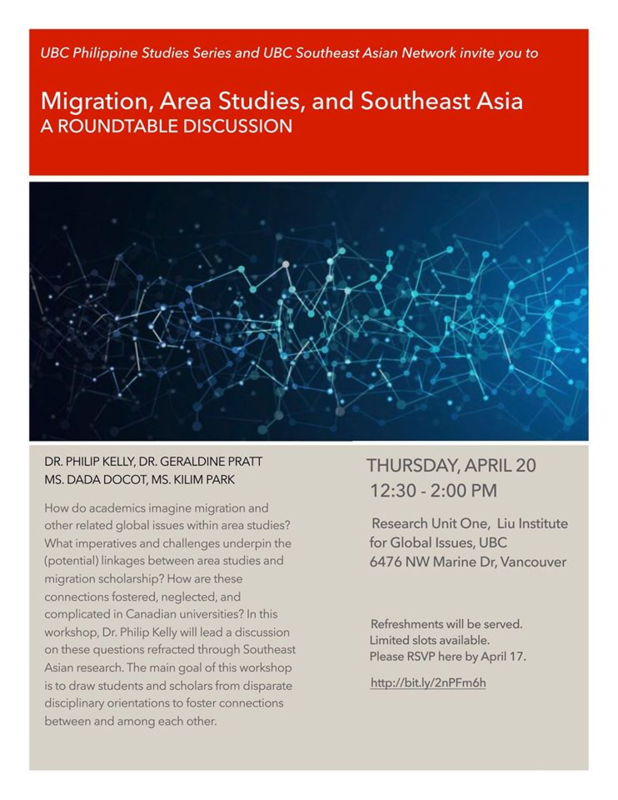 Join us for a round table discussion on migration, area studies and Southeast Asia with Dr. Philip Kelly, Dr. Geraldine Pratt, Dada Docot and Kilim Park. Thursday, April 20. 12:30 pm – 2:00 pm. Research Unit One, Liu Institute. Refreshments will be served. Limited slots available. Tags: Migration. Bookmark the permalink.